Outstanding waterfront town home which includes a private dock, and million dollar views. This gated community boasts tennis, pool and heated spa with Cabana. Play ground for the young at heart. This spectacular home includes over sized tandem garage that currently accommodates a car, a boat 3 kayak's, 3 bikes, and a paddle board. Enjoy all that waterfront living has to offer. Decks/Balcony on every level. 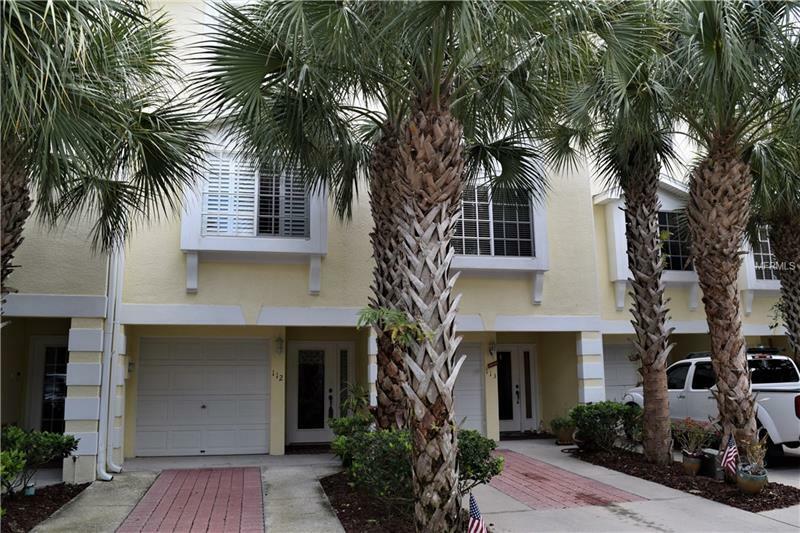 Private entry foyer leads to upstairs gourmet kitchen with white cabinets, and granite counter tops, large great room with high ceilings overlooks Tampa Bay and your private dock. Large elegant private master bedroom with private balcony, and luxury master bathroom. Water softener, central vacuum system, security system are just a few of the many upgrades throughout this incredible town home. Sales price includes a flooring allowance for this home. Close to everything Oldsmar has to offer. Restaurants, shopping, walking and jogging trails are just minutes away. Approx. 30 minutes to airport, and 40 minutes from downtown Tampa, and Downtown St. Petersburg. 15 minutes from some the beautiful beaches that Pinellas county is known for. Gated community perfect for full time or second home owners. Pet Restrictions: medium sized dogs, breed restrictions. Property Management has details.